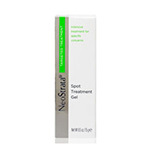 Target specific skin concerns with intensive treatments designed to address dark under eye circles, hyperpigmentation, age spots and acne marks, wrinkles, severe dry skin and more. 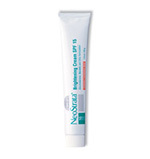 NeoStrata targeted treatments are designed to complement or boost the benefits of your daily skin care regimen. 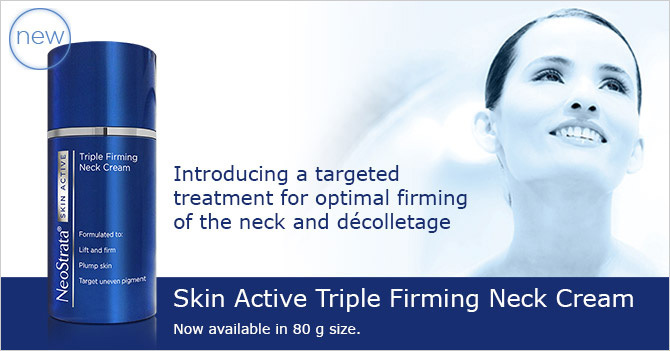 New to this range, the Skin Active Triple Firming Neck Cream is specifically designed to target the delicate neck area and décolleté. 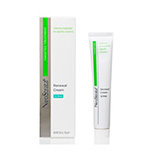 This quick absorbing, exfoliating cream tightens the skin whilst increasing volume to dramatically improve the appearance of skin around the neck area. Light weight and oil free for a velvet finish controls shine and smoothes skin. Gluconolactone exfoliates. Mandelic Acid controls oil and bacteria. Lightens discolourations and reduces future damage to the skin with both UVA and UVB protection. Gluconolactone and Pro-Retinol work synergistically to improve severe photoageing by smoothing the skin and diminishing lines and wrinkles from the inside out. Not for sensitive skin. 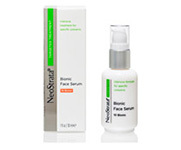 Concentrated daily-use serum restores radiance and amplifies the benefits of other anti-ageing products. Contains Lactobionic Acid to build the skin’s support structure and can be used to target specific areas or as an overall facial treatment. A very rich cream with Hydroxy acids for exfoliation of severely dry, rough, thickened skin (heels, knees, elbows). Beeswax and skin conditioning oils reduce roughness on contact. AHA blend plus Salicylic Acid and Pro-Vitamin A quickly treats acne blemishes and allows skin to heal. 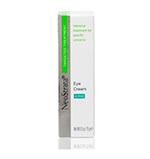 Reduces the appearance of fine lines and wrinkles without irritating delicate eye area. Skin’s protective barrier is strengthened with Gluconolactone and Hyaluronic Acid moisturises. Hypoallergenic.